You can never go wrong with breakfast for lunch! 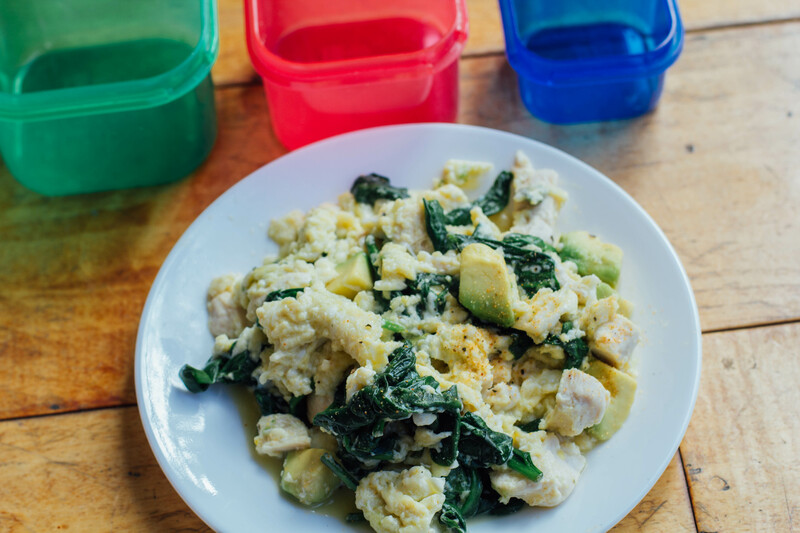 This high protein egg scramble is the perfect power meal. 1. 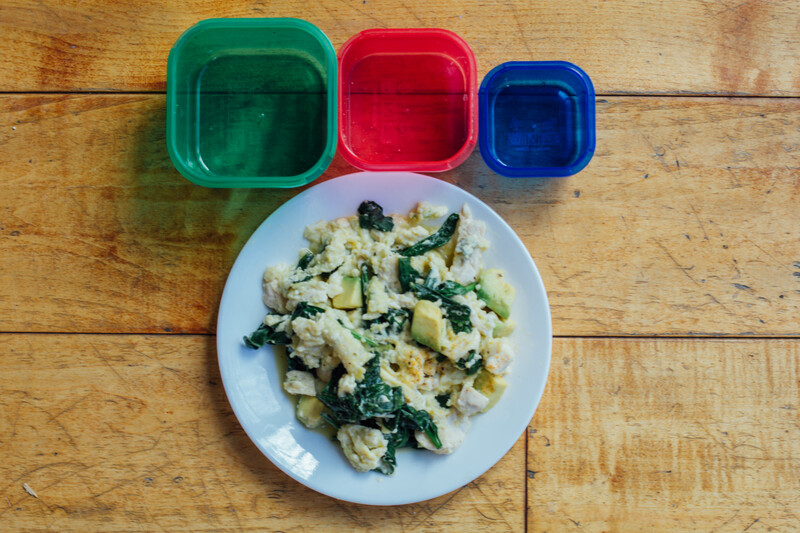 In a medium pan, spray olive oil or coconut oil & add the spinach with flavorgod seasoning. 2. Once spinach is well cooked (soft), add the beaten eggs. 3. After a couple minutes, add the chicken and avocado. 4. Remove from pan and add a little more flavorgod seasoning. Enjoy.